EBgames has a large selection of Nintendo DS games. Thus spoke Gamasutra: "Programmers, designers, musicians, and producers of the industry unite! Pool your talents. Embrace challenge. Create superior games." While you're there, be sure to see the article by Ed Magnin. The place to go for all your game development needs. 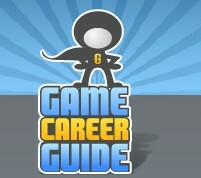 Plenty of articles and source code, all available for download at Game Developer Magazine. Game Developers Conference meets February 18-22, 2008 in San Francisco. Keep on top of all of the latest Nintendo developments.